hazard disclosure pamphlets, and more. 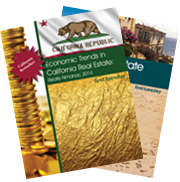 Our online magazine presents California real estate news and analysis daily. 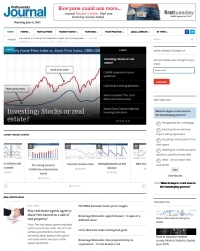 Fresh articles, blogs posts and charts update you on trends as the data arrives, setting the direction of California's real estate market. Our investigative reporters fully analyze topics affecting your business, write critiques on current news, and post continuous updates of California's new real estate bills, each month's new laws, court decisions and extensive charts tracking the trends affecting your business. Want a forecast of California home sales volume? Or need some marketing material to introduce yourself to a new target neighborhood? Visit the first tuesday Journal today. Sign up for our email newsletter and get new articles delivered to your inbox every week. A $500 value. 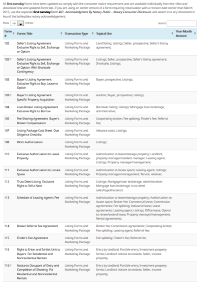 All 400+ personalized RPI forms provide better protection for your buyers and your fee. Our forms are California-specific, easy to understand and 100% legal for use. You digitally fill, personalize, print, sign, email and save your forms or print and use blank copies. Share RPI Forms with your entire office. We provide you with a form for every type of real estate transaction, including purchase agreements, rental and lease agreements, listing and sales form packages, office management forms, income property analytics, escrow and lending forms. Easily find which form you are looking for by searching our library by form name, number or keyword. Or, download all 400+ forms at once. Visit our Forms page now. 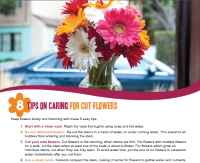 first tuesday FARM letter templates and copy help you market effectively. Just insert your image and company information into one of our pre-filled templates. Or choose your own copy and template to further personalize your message. Need a template or letter we don't provide? Use our Farm-Letter-on-Demand service to request what you need. Visit our FARM Letter page now. Realtipedia is first tuesday's 16-volume digital library. first tuesday books are California-specific and written in plain language, with legal code and case citations provided for reference and form references are included to assist in fine-tuning your real estate activities. Future errata, supplemental material, updates and recent developments for first tuesday books are updated monthly and accessible by logging in to your Student Homepage. All first tuesday books are written, edited and published by our in-house staff of writers and researchers. The first tuesday editorial staff is headed by first tuesday Chairman and Legal Editor Fred Crane. Mr. Crane was the real estate attorney representing the homeowner in Wellenkamp v. Bank of America, the pivotal case on alienation of ownership rights. His 50-year+ knowledge of California real estate spans experiences as a real estate broker, investor, property manager, attorney, educator. As an employing broker, use first tuesday's Broker Search to advertise your job openings. Just add your contact information and take advantage of first tuesday's wide reach to locate quality agents for your practice. New, active and inactive sales agents can use the Broker Search to locate an employing broker. All these first tuesday services are included with your one-year enrollment in a first tuesday course. Enroll today! Take advantage of all first tuesday has to offer — from our unparalleled Licensing Course material and live customer service to the widest selection of Continuing Education packages and real estate resources available anywhere. We satisfy the needs and desires of every prospective and present California real estate licensee with our first tuesday included services. I want to order Sales Agent Licensing Courses. I want to order Broker Licensing Courses. I want to order Continuing Education Courses.